There are a few ways to think about the HP Pavilion x360. If you think of it as a cheap Windows notebook with decent performance and the added bonus of a tablet mode which you might use from time to time, it’s a pretty good machine… although not necessarily the cheapest or most compact option for folks looking for a Windows notebook. By taking the Yoga's popular foldback hinge design and making it available for as little as $399, the HP Pavilion x360 performs a valuable service, and should be commended for that, as well as for being a budget laptop with a better-than-expected typing experience and plenty of ports and connections. The red design looks good and feels sturdy, but the Pavilion's weight and dimensions make it tricky to use as a tablet, and its lack of power, poor screen and mediocre battery life hamper its usefulness as a laptop. We'd only recommend this if you want a stylish ultraportable for a low price. Even though the price is appealing, the HP Pavilion X360 suffers from too many compromises. The Asus VivoBook X200CA offers similar performance and battery life for £50 less, while the Lenovo IdeaPad Yoga 2 11in shows exactly how a hybrid should be made for £500. It is a promising effort, though, and a better quality screen would transform the HP’s appeal. Conceptually the HP Pavilion x360 gets a lot right. It's got full Windows 8.1, it's affordable, has plenty of physical connection ports, makes light work of typing, and the multi-positional screen idea is integrated well, even if it's not an entirely original concept. We're in the post-PC era, but in this period of transition the Pavilion x360 fails to enhance what is already on offer in the market. It just seems to just dilute it. The Pavilion is a good-looking, well-built device that works as well as any other hinged hybrid in both of its modes. As usual, though, using this device as a tablet involves considerable compromise because of its sheer size and weight: while the vital statistics are fine for laptops, the x360 is more than twice as bulky as most tablets – and, crucially, it’s heavier, thicker and less versatile than the detachable Asus Transformer T100. With its bright colouring and swivelling screen, the HP Pavilion 11 x360 looks good, performs well and has quality to match. On paper it's a great buy at £350, but it's difficult to recommend. The screen is a complete wash out, the keyboard isn't as comfortable as it should be, and despite being responsive, it's just too bulky as a standalone tablet. Even though it's more expensive, the Lenovo 11S offers a much better all-round experience. Or, if you can get past the relative lack of storage (at 32GB of SSD), the smaller and cheaper Asus Transformer Book T100 also performs better as both a laptop and a tablet. The HP Pavilion x360 is a solid product overall, with a good build quality and a strong hinge design. It's also quite heavy, and this can make it a cumbersome product and tiring to use as a tablet for long periods of time. Because it's a budget product, the power under the hood is minimal, but it's nevertheless a product that can provide a good overall user experience. 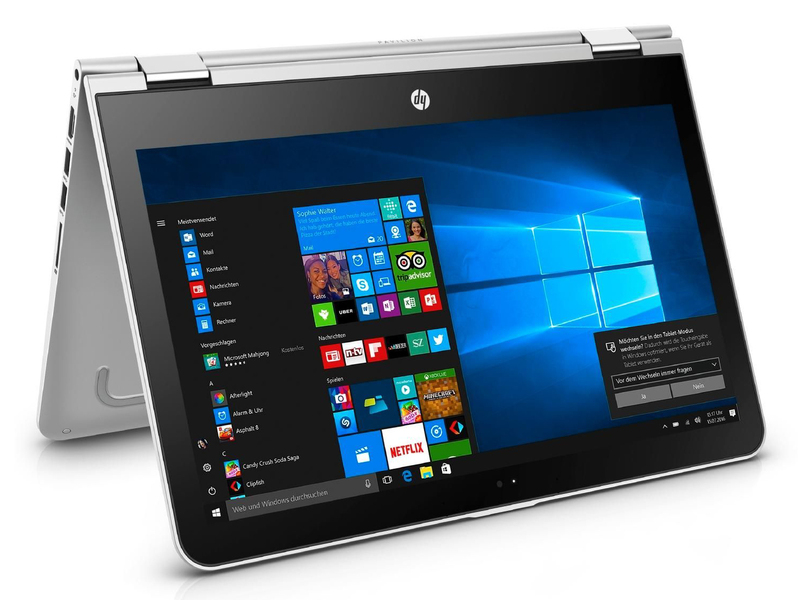 HP offers good bang for your buck with this 11.6-inch laptop hybrid. I like the funky design and oodles of connectivity and, if you’re not too fussed about a pin-sharp screen, then it may be just right for you. 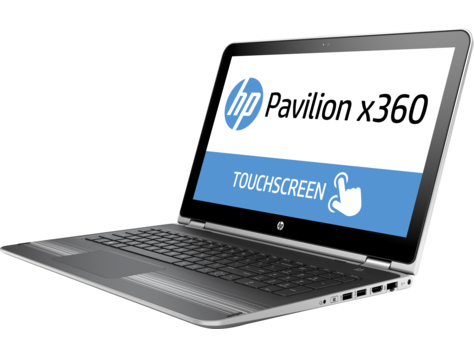 The HP Pavilion x360 isn’t as portable as a tablet, but you are also getting a Windows 8 laptop and with full keyboard/touchpad and free 3G for £50 less than an iPad Air. The x360 has a really great price point and user modes, but we can't help but be disappointed with the relative lack of power. We know it's a budget device, but we'd certainly rather pay a little more for a tad more get-up-and-go. HP showed off its new Pavilion x360 notebook at Mobile World Congress in Barcelona, and PCWorld’s Melissa Riofrio got an opportunity to spend some hands-on time with the flexible hybrid. HP brought more than a few new devices to Barcelona for Mobile World Congress (new in Europe, at least), but the most interesting is easily the Pavilion x360. It's a hybrid device with a hinged lid that lets you fold it onto itself, turning the touchscreen laptop into a large tablet. If that sounds familiar, it's because we've seen the design before in Lenovo's IdeaPad Yoga. Positive: Compact design; good connectivity; good price. Negative: Glossy display; relatively week CPU; short battery life. Positive: Decent performance; wide viewing angles of the display; high quality workmanship; Beat audio system. Negative: Glossy display; heavy; relatively short battery runtimes. 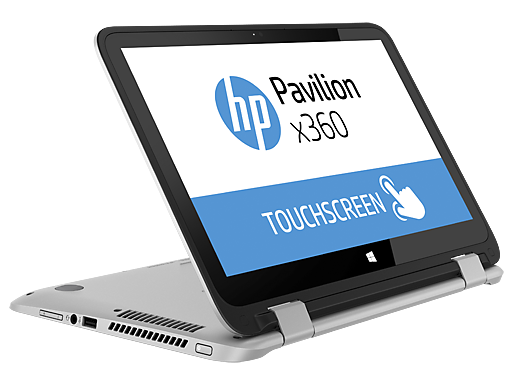 The HP Pavilion x360 13z Touch and its special 360 degree hinge allows easy conversion from notebook to stand to tent and to tablet mode. While the interior is kept a common black, the exterior has an eye-catching red, though there is an option for a grey version. The Windows 8.1 laptop comes with a 13.3 inch diagonal HD WLED-backlit touch screen. At the core of the system is an AMD quad-core A8-6410 processor with an AMD Radeon R5 graphics chip combination. Users have the option of selecting up to 8 GB DDRL3 RAM and 1 TB hard disk. This is certainly an impressive combination for those looking to be mobile. Other features include 2 USB 3.0 ports, 1 USB 2.0 port and a multi-format SD card reader. 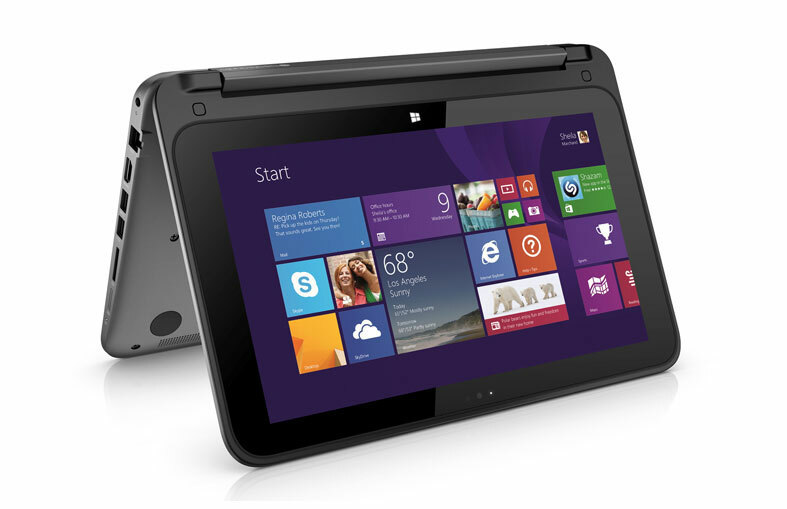 Audio on the HP Pavilion x360 13z Touch is good with its 2 speakers and Beats Audio technology. 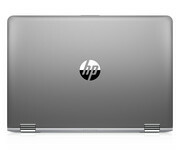 The 3.97 lb (1.8 kg) notebook also comes with a HP TrueVision HD webcam and HP Imagepad with multi-touch gesture support. Battery life of the device is pretty impressive; up to 6 hours and 15 minutes with its 3-cell Lithium-Ion power source. This notebook will certainly perform and is eye catching. 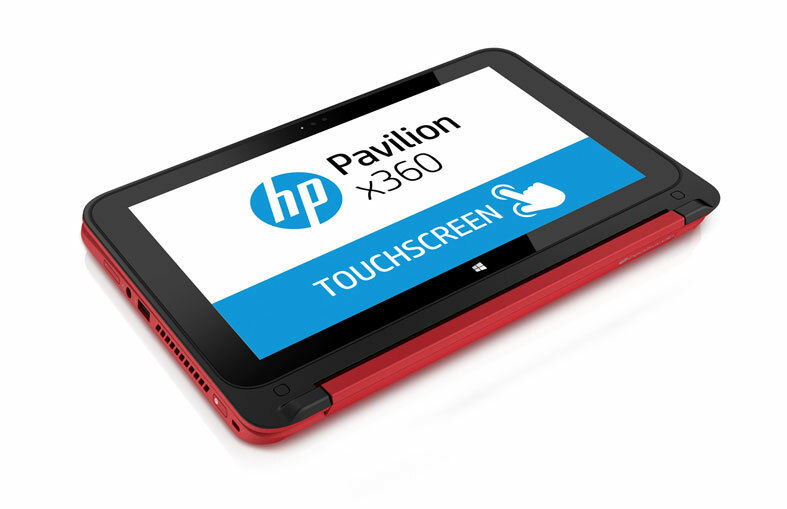 HP's Pavilion x360 13z Touch is a compromise system in many ways. It is designed as a hybrid laptop that can be used like a tablet but the size and weight make it difficult to do that often. Performance is certainly better than more compact and affordable options even from HP but it still falls short when compared to a similarly priced straight laptop. 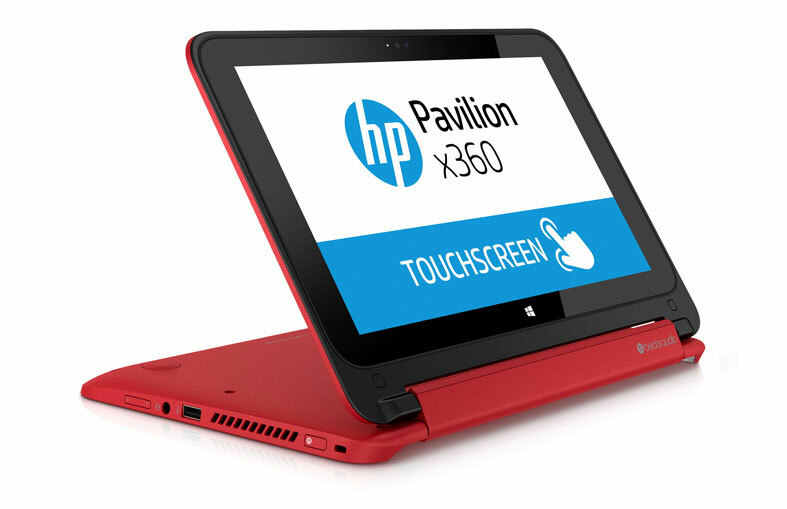 The HP Pavilion x360 13-s101tu is a convertible laptop with 360 degrees hinge. It is suitable for people who work on the go. The laptop looks like a premium laptop. It is built with quite high quality plastic and the 360 degrees hinge design is quite robust. The Windows 10 64-bit Home Edition system comes with a 2.3 GHz Intel Core i5 6200U processor, 4 GB of DDR3L RAM, an Intel HD 520 graphics and 1 TB hard drive. Its 13.3 inch touchscreen features a 1080p resolution. Color saturation and viewing angles are decent. However, it is not suitable for use in the sun due to its reflective display. The touchscreen is quite responsive, accurate and supports 10-point multi touch input. The keys on the keyboard are well-spaced and not straining to type on. The touchpad supports all gestures available on Windows 10. There is no DVD drive installed, but the laptop features many interfaces including two USB 3.0 ports, a USB 2.0 port, HDMI port, an Ethernet port, a multi-format SD media card reader, and headphone and microphone jack. It weighs 1.7 kg and the battery life is up to 6 hours on a standard battery test. 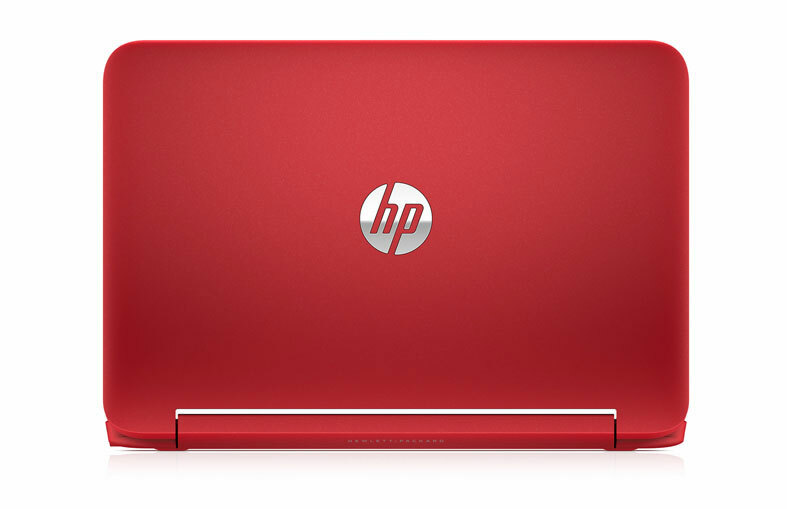 his HP Pavilion x360, a 13-inch model with a price tag of Rs. 57,990, sits in the middle of this range. On paper, it is a decent mid-tier machine, with a touchscreen and a rotating 360-degree hinge, hence the name. It is reasonably light and you can use it as a Windows tablet too, but does it work for real world usage? We used the laptop extensively to find that out, and more. Keyboard fail. HP sends a 15-inch convertible from its x360 Pavilion lineup into the race. The competition has grown quite a bit in the past months - even if a high-rider is not among them, all opponents are at least relatively good. Can the Pavilion stand its ground with its inner values? Or will it fail thanks to its keyboard? 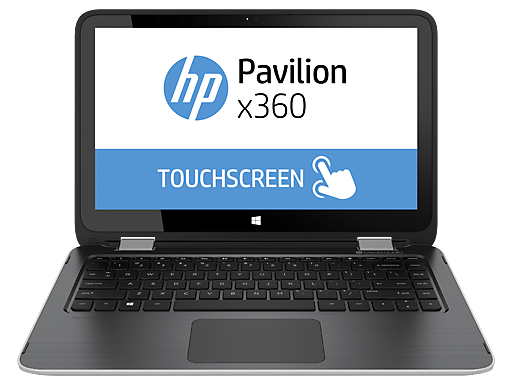 The HP Pavilion x360 15-bk062sa is a hybrid laptop that allows users to use it seamlessly in four different modes. With its 360 degrees hinge, users are able to easily use the laptop in laptop mode, stand mode, tent mode and tablet mode. The laptop is designed and catered towards users who require a touchscreen laptop that can also turn into a tablet. The lid of the laptop is covered in metallic red and the keyboard area has a contrast of matte black finish and red color giving it an overall bold look. It has a decent build quality and the hinges hold the display securely in its place no matter which mode the laptop is switched to. The laptop comes pre-installed with Microsoft Windows 10 Home 64-bit edition operating system and there is an additional 1 month trial for new Microsoft Office 365 customers included. It has a 2.3 GHz Intel Core i3-6100U processor, an Intel HD Graphics 520 graphic card, 8 GB DDR3L-1600 SDRAM and a 1 TB 5400rpm SATA hard disk. This puts it in the low-end range which is more suitable for light users. It also sports a 15.6-inch Full HD IPS display with UWVA WLED backlight and multi-touch. The display has good viewing angles and the image quality is decent. However, it is reflective and has a low maximum brightness. The keyboard does not flex or wobble much when typing and the key action is properly defined. It has a good layout and there is even room to include a numpad. Besides that, the laptop also has a decent trackpad that allows users to glide their fingers easily across the surface and the tracking is accurate. The laptop comes with a Miracast compatible Intel 802.11ac Wi-Fi and Bluetooth 4.0 combo module and 10/100/1000 Gigabit Ethernet LAN. 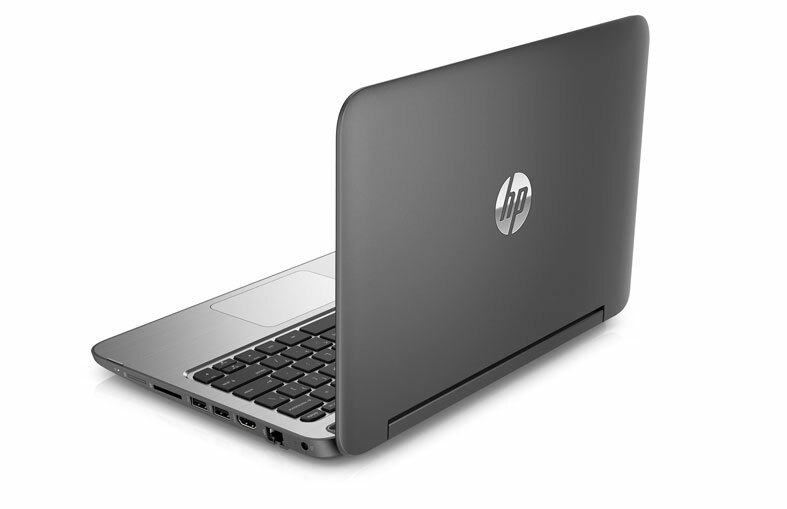 Additional features such as accelerometers, gyroscope and eCompass are also included in the laptop. The interfaces and ports in the laptop include two USB 3.0 ports, a USB 2.0 port, an HDMI port, an RJ-45 port, a headphone/microphone combo audio jack and a multi-format SD media card reader. Its HP Truevision HD camera features a dual array digital microphone for clearer audio. The HP Pavilion x360 15-bk062sa weighs 2.3 kg and the battery can last up to 7:23 hours based on specific tests done by several Internet users. One of the drawbacks is that the laptop comes with a slow hard drive. It is far from the standard SSD included in most laptops and convertibles these days. Overall, the laptop’s performance is decent and it is value for money. The specifications put the laptop in the low budget category and the battery life of the laptop is sufficient for a day of work or a day of lectures without the need of charging the battery. This is an intriguing laptop/tablet hybrid. Frankly, the appeal of such a large touchscreen device is rather lost on me, without there also being an included stylus, or something along those lines that actually makes the touchscreen useful. As it is, if feels like a glorified picture viewer. And without the touchscreen being useful, you’re much better off with a less reflective non-glass screen. 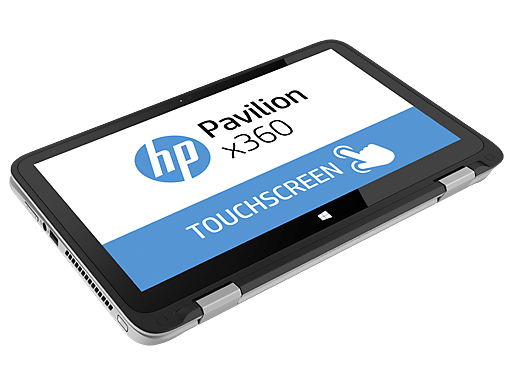 There is no doubt that the HP Pavilion x360 13t is a quality mainstream mobile device. It has more than enough muscle to handle everyday computing and internet-related tasks and is very capable when it comes to streaming video. Although the Pavilion x360 13t isn’t geared toward business use, it should serve casual road warriors just fine. The HP Pavilion x360 looks like a premium product from afar, but up close, it's your average, everyday 2-in-1. Its performance is better than other midrange convertibles, and its speakers are loud and clear, but the display is dim, and you'll spend a ton of time uninstalling bloatware. Convertible for home use. 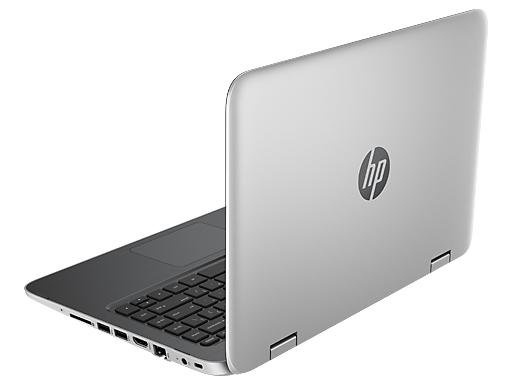 HP's 13.3-inch convertible pleases with a high-contrast IPS display and offers plenty of storage. The battery life could be better. Dark Display. This HP convertible is on the market for 600 Euros (~$632). It offers a combination of a Kaby Lake processor, an IPS screen and a 1 TB HDD. It might be an attractive option for some users, as it supports active input styli (Active Stylus). 80% Hp Pavilion X360 15: Was Kann Das Mid-Price-Convertible? Positive: Compact size; good price; excellent display; decent hardware; backlit keys. 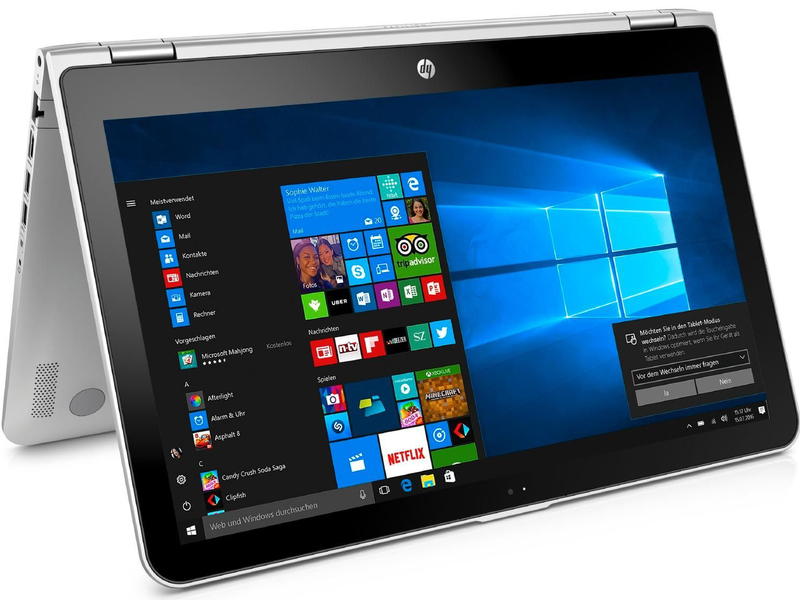 The HP Pavilion x360 14 is a 14-inch convertible powered by a Kaby-Lake processor. Its main competitors are, among others, convertibles such as the Lenovo Yoga 510-14IKB. The Pavilion’s case is mostly made of plastic, only the top is made of metal. With the exception of the display bezel, which is black, the laptop was clad in silver. The build quality is decent, as is the rigidity. However, it does lack some of the unique design of the Spectre series. Equipped with a chiclet-style keyboard, the Pavilion 14’s smooth keys offer fairly short travel and very distinct feedback. While typing, the keyboard flexes a little bit in the middle, but not disturbingly so. All in all, the keyboard is decent. The 11.5 x 6 cm (~4.5 x 2.4 in) large ClickPad is multitouch-capable and offers plenty of space for gestures. Its slippery surface is very pleasant to use, and its integrated buttons offer short travel and very clear feedback. 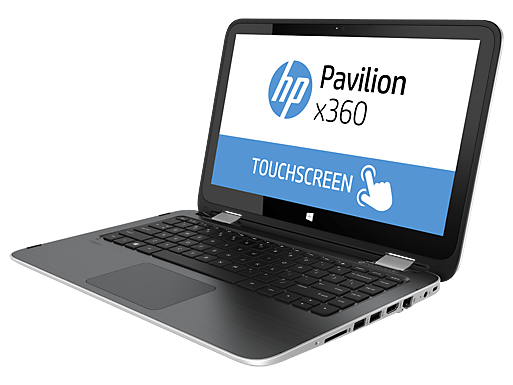 The Pavilion 14’s touchscreen supports 10-point multitouch, the screen sensitivity is good enough. However, it does not get quite close to the Surface Book. The 14-inch 1920x1080 display features a very decent contrast ratio of 1200:1. Unfortunately, its maximum average brightness is only 237 nits and therefore far too low. The convertible is equipped with an IPS panel with respectable viewing angles, meaning that the display remained readable and usable at even the most acute angles. Outdoors, the device was all but usable due to its low maximum brightness and the highly reflective glass cover of the panel. The display showed PWM flickering at a very high frequency of 25000 Hz at brightness levels of 50% and below. Consequently, even sensitive users should remain safe from headaches or unusual eye strain. In terms of performance, the 14-inch convertible is amply equipped for the usual office and internet application requirements. Thanks to a dedicated GPU, it is even capable of running games: At HD resolution (1366x768) and low to medium details, almost all games will run very well. Its ULV dual-core Core i5-7200U CPU (15W TDP) runs at a base clock speed of 2.5GHz, turbo boosts both cores up to 3.1GHz. The 256GB M.2 SSD is made by Samsung, and its transfer rates were decent. As for RAM, it has 8GB of DDR4-2133 SDRAM. The stereo speakers are located above the keyboard, hidden away behind a perforated cover. They were decent, but, as usual, lacked bass. The convertible also offers a decent selection of ports. In addition to three USB-3.1-Gen-1 ports (1x Type-C, 2x Type-A), it also offers HDMI video output and a rather fast SD-card reader. The Wi-Fi module (Intel Dual-Band Wireless-AC 3168) supports the fast AC standard in addition to 802.11a/b/g/n. 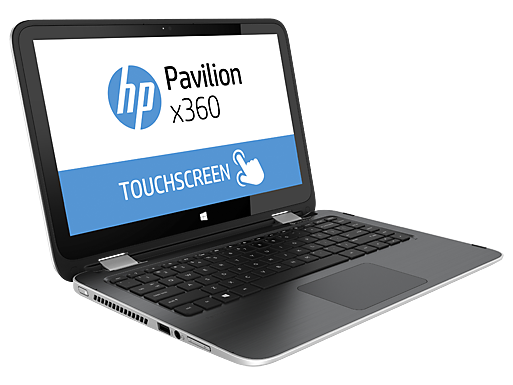 The Pavilion x360 14-ba028ns is a cheaper alternative in the convertible market. It does what it is meant to do, but there are some aspects in which it is lacking - build quality is one of it. The HP Pavilion is a safe, dependable but a boring device. It’s adequate. You can enjoy light gaming and movie watching and the battery life is good enough for light to moderately heavy work. The flexibility of the hinge also means that you can have some fun with it. Positive: Elegant design; nice display; good hardware. Negative: No RJ-45 port. Positive: Impressive design; good hardware; nice gaming performance. Positive: Impressive design; good price; powerful hardware; nice performance; compact size; long battery life. Positive: Compact size; high performance; good price; impressive design; high mobility; nice touchscreen. Priced at around Rs 70,390 (with a starting price of Rs 55k for core i3 variant), for what it offers, the HP Pavilion X360 is a good all-rounder. Good build, decent display, good touch screen, professional looking design that is neither too old nor too flashy, good sound output, a handy pen and solid performance for varied usage patterns. This is something for the professionals on the move. 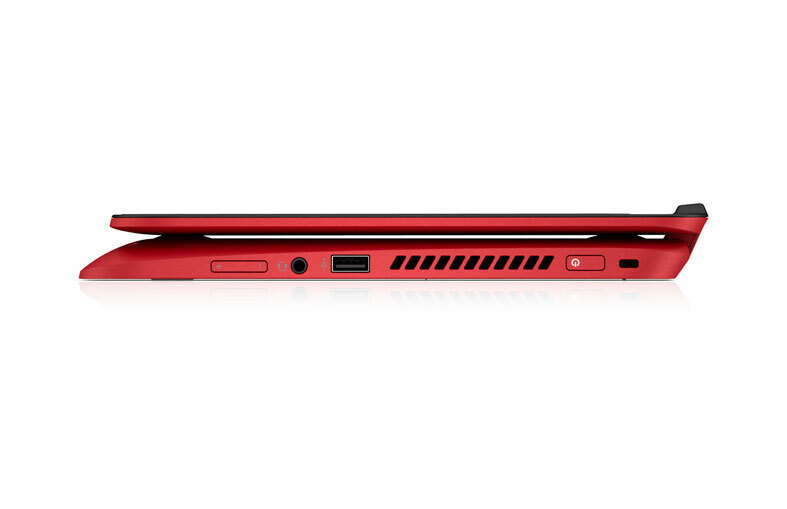 The HP Pavilion x360 strikes a balance between performance, battery life and usability. While we think the price could have been lower, the Pavilion x360 14 ba-073TX makes a solid case for itself with dependable performance and a good display. The HP Pavilion x360 certainly raises the level of game every other PC maker is playing when it comes to mid-range laptops in India. The sub-brand, which once was known for offering mid-range laptops, although is moving towards more premium price bracket, it still takes some cues from other sub-brands as well such as the Spectre in terms of design and HP Envy in terms of performance. The 11-inch HP Pavilion x360 has a lot going for it at first glance, from its affordable price to its 2-in-1 design and included pen. Unfortunately, it's held back by short battery life and a mediocre display, and the inexpensive hardware that makes that low price possible translates into poor multitasking and middling overall performance. Positive: Nice display; decent hardware; good price. Negative: Relatively heavy; not suitable for gamers. Positive: Compact size; impressive design; good price; nice performance. Positive: Compact size; good price; impressive design; nice gaming performance. Positive: Compact size; good price; nice design. Positive: Compact size; good price; impressive design; nice performance. Positive: Compact size; high mobility; decent hardware; good display; light weight; excellent speakers. Positive: Impressive design; compact size; decent hardware; nice performance; good display. Positive: Nice display; powerful hardware; high autonomy. Negative: No optical drive. AMD Radeon R5 (Kaveri): Integrated GPU on select AMD Kaveri APUs. Based on the GCN architecture with 256 - 384 shader units and a core clock up to 626 MHz.Intel HD Graphics 505: Integrated low-end graphics adapter with DirectX 12 support, which can be found in some ULV SoCs from the Apollo Lake series.Intel HD Graphics 610: Integrated GPU (GT1) with 12 EUs found on some low-end Kaby-Lake CPU models (15 W ULV series). Same performance as the old HD Graphics 510.Modern games should be playable with these graphics cards at low settings and resolutions. Casual gamers may be happy with these cards. Intel HD Graphics 520: Integrated GPU (GT2) with 24 EUs found on some Skylake CPU models (15 W ULV series).Intel HD Graphics 620: Integrated GPU (GT2) found on some Kaby-Lake CPU models (15 W ULV series).Intel UHD Graphics 620: Integrated GPU (GT2, 24 EUs) found on some Kaby-Lake-Refresh CPU models (15 W ULV series). Technically identical to the previous Kaby-Lake GPU called HD Graphics 620.With these GPUs you are able to play modern and demanding games fluently at medium detail settings and HD resolution. NVIDIA GeForce 940MX: Mid-range laptop graphics card based on the Maxwell architecture. Compared to the older 940M, the MX now also supports GDDR5 graphics memory and maybe slightly faster clock speeds.Intel Iris Pro Graphics 6200: Integrated graphics card (GT3e) in the Core processors of the Boradwell generation (47 W TDP). NVIDIA GeForce MX130: Mid-range graphics card for mobiles based on the Maxwell architecture. Renamed GeForce 940MX.» Further information can be found in our Comparison of Mobile Graphics Cards and the corresponding Benchmark List. 6100U: Skylake-based ULV dual-core processor for thin notebooks and ultrabooks. Offers an integrated HD Graphics 520 GPU and is manufactured in 14 nm.7100U: Kaby-Lake based SoC with two CPU cores clocked at 2.4 GHz (no Turbo Boost), HyperThreading and manufactured with an improved 14nm process.8130U: On the Kaby-Lake architecture based dual core SoC clocked at 2.2 to 3.4 GHz with HyperThreading (4 Threads) and an integrated UHD Graphics 620 graphics card clocked at up to 1 GHz.Intel Core i7: The Intel Core i7 for laptops is based on the LG1156 Core i5/i7 CPU for desktops. The base clock speed of the CPUs is relatively low, but because of a huge Turbo mode, the cores can dynamically overclock to up to 3.2 GHz (920XM). Therefore, the CPU can be as fast as high clocked dual-core CPUs (using single threaded applications) but still offer the advantage of 4 cores. Because of the large TDP of 45 W / 55 W, the CPU is only intended for large laptops. 73.92%: This rating is bad. Most notebooks are better rated. This is not a recommendation for purchase.» Further information can be found in our Notebook Purchase Guide.